The birth of my first grandchild on New Year’s Eve was a widely publicized event. Being a marketing coach and social media marketing specialist it was bound to be on the popular social channels like Facebook, Instagram and Twitter with the hashtag #ArianaJade, but for those who knew me personally there was a bigger story behind the scenes. 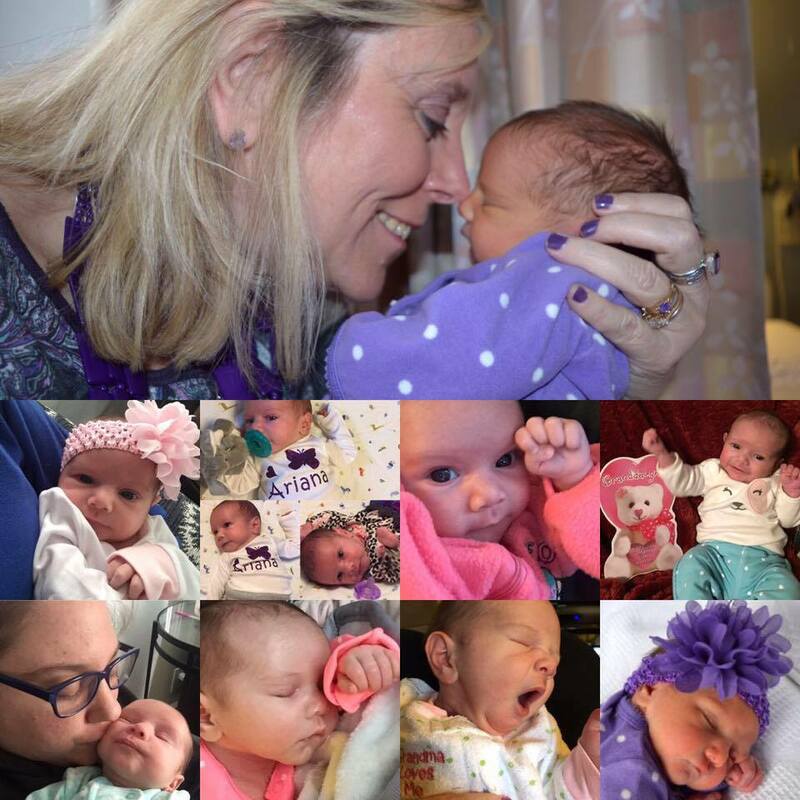 The story of the arrival of my beautiful granddaughter Ariana Jade Palmer at 12:16am, December 31, 2016, started many years prior to her conception and was a miracle of sorts. As a mother you often feel responsible for any health issues your child has and I was no different. My daughter spent too much of her young life in pain and visiting doctors and hospitals. I won’t go into the details, but her path to adulthood kept me on my toes and I spent many years worried about her and her health. She was blessed to marry the love of her life who was also her high school boyfriend. Soon after their marriage they purchased a nice home and started trying to have a baby. Their friends wondered what was the rush, but my daughter Nicole knew that life is never guaranteed so you live your life fully and well. Six years of trying and seeing more doctors and infertility specialists, I actually believed it was impossible for my daughter to conceive. And, if things couldn’t have been more depressing, Nicole’s dog Scamp who she had since she was 12 years old passed away in her arms on New Year’s Eve 2015. As a marketing coach I have always tried to help my clients to not dwell on the negative and to stay positive and to be open to new opportunities. My daughter continued to smile, bought a new puppy, and worked with her infertility specialist and before long she was finally carrying her daughter, Ariana Jade. Now that would be perfect if it was an easy 9 months, but this baby was extremely active and my daughter was told she had gestational diabetes and that her pregnancy was considered high risk. She didn’t sleep much, she vomited for the full term of her pregnancy, and she had to be seen constantly by doctors to make sure the baby was ok. I gave her a huge baby shower, but secretly I was worried the entire time that something would happen to the baby. Her original due date was January 13th and then moved up to January 6th, but my older sister said from day one that Ariana Jade would arrive on New Year’s Eve because she was heaven sent from Nicole’s dog Scamp so that Nicole would never be sad on that day again. I thought my sister was crazy, but maybe older sisters do know best! An emergency C-Section was performed at Beverly Hospital because the baby’s heart beat was racing and they didn’t want to risk my daughter losing the baby. My husband Jay and I waited nervously during the delivery and I posted updates on Facebook. The baby arrived healthy and happy and so were we. Tomorrow Ariana Jade will be 2 months old. I was touched that her middle name was chosen after my husband Jay who is Nicole’s stepdad. He has been such a wonderful support for my daughter and a big part of her life for over 15 years. My heart is happy, my smile is big, and I can tell everyone that being a grandparent is even better than being a parent. 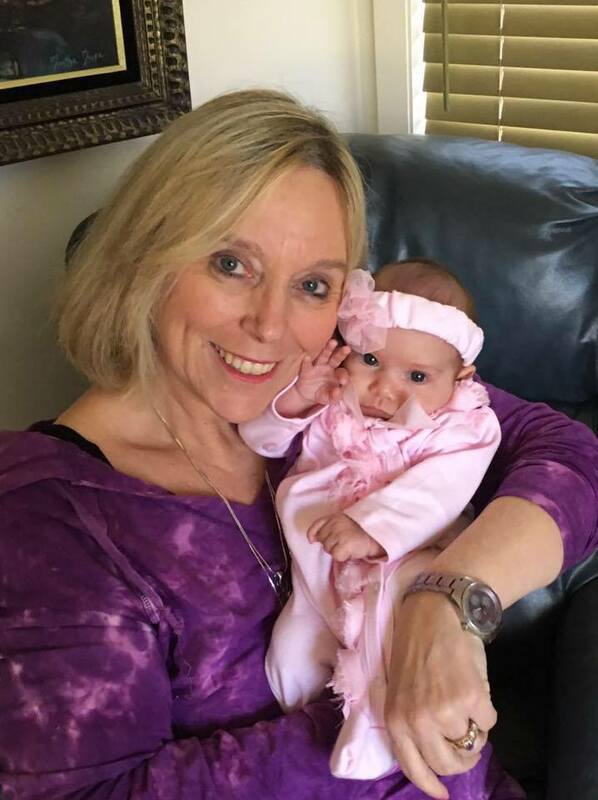 So, I ask that if anyone is starting to tire of seeing my daily pictures of my granddaughter on Facebook and other social channels to please try to understand that it was a LONG journey and I am celebrating every moment of her life!